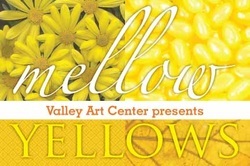 Thinking of the upcoming gallery show, Mellow Yellow, at Chagrin Valley Arts Center Gallery, I wanted to research further into this bold and vibrant primary color. What do we know about the color? Yellow is the first color a person distinguishes in the brain. Associated with stress, caution, and apprehension, yet it stimulates an overall sense of optimism, hope, and balance. Excellent for use in classrooms. I found this interesting article about the color, and the psychology of yellow. Yes, there is a real influence and psychology of various colors in our lives. Commonly we think of the red cape making the bull mad, and this is just one of the million experiences cited of how color influences mood, affect and outcome. Yellow is the most highly visible of all colors which is why it is used for pedestrian crossings. Take note of the crossings which are marked in white – they are less easy to see than those marked yellow, particularly on wet and cloudy days. If your favorite color is yellow, it will reflect in your personality!